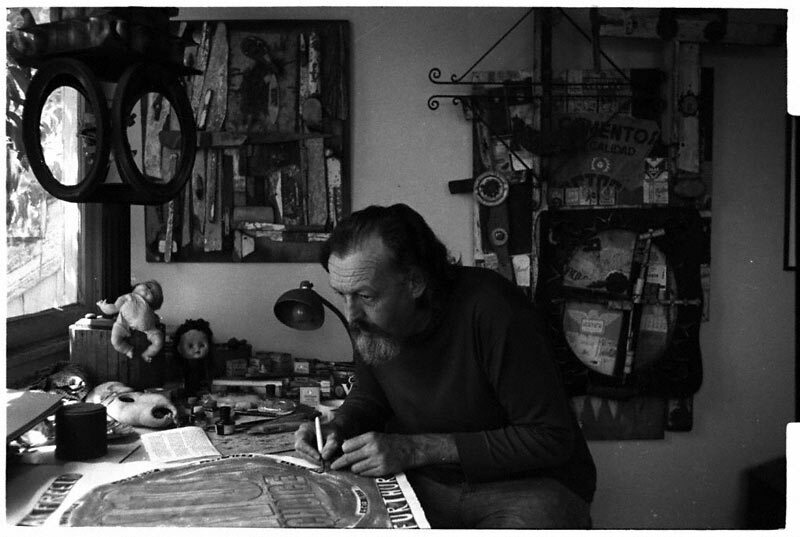 Although Gordon Wagner first became known in Los Angeles as an abstract painter, he had also made sculptures out of found objects since the late 1940s. He scavenged materials from the sands of Redondo Beach and the creek in Topanga Canyon, and during scavenging missions to the vast garbage dumps in the Mojave Desert. 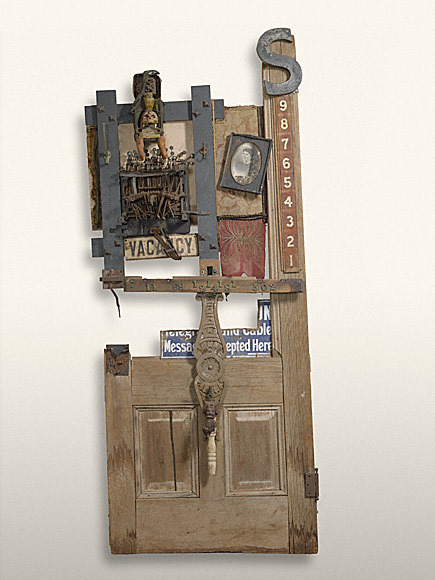 He was also inspired by traveling to Mexico, an experience that he found to be “like walking through a giant assemblage.” There, he sourced many of the objects in Mexican Night Clerk, including a door, a rusting typewriter, a skull, a china owl figurine, an old Spanish door knocker and a partial Western Union telegram sign. The lopsided numbers, vacancy sign, coat hooks and a large “S” at top right—which stands, Wagner explained, for Savoy—all evoke a dusty and outdated hotel, whose night clerk is surrounded by macabre visions.